The bath salt that Japanese people use is the powder that contain the same materials that the water at Japan's famous onsen (hot springs) has. 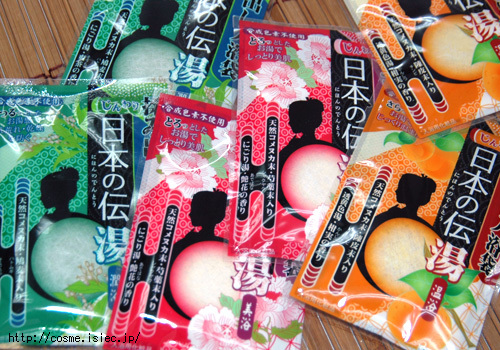 You pour a packet of such powder in your hot bath, and your bath time becomes onsen time! The powder, when dissolved in water, is milky white, milky blue, milky pink. That's why they said the tracer was "milky white". I'm just so shocked. Shocked. So shocked that I'm laughing hysterically. There are US military, the JDF, Marine Safety Agency, who are close by, who have and use tracer all the time. You can buy one of these for less than $20. And what does TEPCO do, under the guidance of NISA? Use bath salt. So first they "diaper" the baby and now they are trying to sooth the baby with some nice bath salts I hope they have a nice fragrance. Wow, they sprung for a whole 13 kilos of "tracer" I hope they got a receipt. Don't you think they could muster up a little bit more if they asked local bath houses to help with the emergency. I would figure you'd need tons of the stuff to actually make a useful visible plume but hey I'm not an "expert" (thank god). Heck, at this point they could just dump a few hundred gallons of old used motor oil they scrounged from local tsunami damaged cars into the waste stream for tracer it wouldn't make it any more of an environmental tragedy. Actually the real tragedy here is all the wasted exposures the workers have to endure to satisfy the powers that be . They may be literally burning their workers out 250 milli-sieverts comes quick in radiation fields exceeding 1,000 milli-sieverts and averaging 500 milli-sieverts. Unless of course you don't provide adequate dosimetry then the sky's the limit. I have a feeling a good portion of the Fukushima 5000+ are going to have health issues that they will suffer in silence not unlike their brethren hibakusha of Hiroshima and Nagasaki. I think this is a big reason they are reluctant to revel their names. The hibakusha stigma works in the nuclear industry's favor because it will be easier to put a good face on things when few of the workers are willing to come forward or attribute their future ills to radiation exposure. Another big plus for the nuclear industry is Japan has enough money and credit to hire outside foreign liquidators and jumpers who will take their future ills home with them after the "incident" is over. This outside help isn't going to be tracked in a meaningful manner because they never are. I think it is very telling when the special advanced US military radiation response team that was recently rushed to Japan is forbidden from breaking the US recommended 50 mile exclusion zone. The JDF is also reluctant to ask for them to be deployed. This may change if the situation at the facility completely goes south but what are they worried about? Isn't it safe for elite military radiation survey teams to go to the plant to help toss diapers and bath salts into the ocean? And where are the robots?!?! You can't have a proper 21st century nuclear incident without lots of ineffectual and cumbersome Mr. Robotos cluttering up the scene. I hear iRobot sent a a case of Roombas and Scoobas to help with the disaster so everything should be under control once they make it through customs. I have heard rumors from an old Navy buddy the main reason the US moved their nuclear aircraft carrier was because the level of contamination was interfering with their ability to monitor their on board reactors. He also said if the ship became contaminated enough it would have to go through a long and expensive decontamination process that would take it off line for months. All I can say is I'm sure glad radiation is safe and everything is OK otherwise I'd be worried. Who knew you could fix a nuclear reactor with diapers and bath salts? They have very nice fragrance. So TEPCO admitted they didn't have dosimeters. You know what I think? I think they don't have enough full-protection anti-radiation suits for the workers. Interesting intel from your Navy friend. That's what I suspected. Instead, an idiot American like this who lives in Tokyo is attacking US embassy for fear-mongering. I'm so disillusioned with Lewrockwell.com, which I still read for the finance and econ articles. But over this, they seem to think it's all hyperbole. I'm pretty sure you're right I haven't seen any full containment positive ventilation suits being used. From what I understand they only had 50 of the white tyvek suits (like painters wear) on hand. Maybe that's where the "fukushima 50" came from they could only mobilize 50 people at a time. I wonder if they are making everybody share the same 50 suits over and over again? Apparently the US and France are supplying more suits but why should they have to Japan has a pretty sizable nuclear industry. My question is does Japan only have 50 tyvek exposure suits in the whole fricking Island chain?!?! Can't they collect all the other tyvek suits that are supposed to be at all the other nuclear sites or at least pick some up at a local hardware store? BTW here's a story about the contamination on the Ronald Reagen. It doesn't come right out and say what my buddy did but it does show they were concerned about contamination.